It Sews. It Quilts. It Comforts Kids. We are excited to introduce a new member of our BERNINA family of machines, The BERNINA 330 Special Edition First Love. We love this newbie, although she might not be around very long as it is a special edition machine. So, if you are interested, you might want to see your BERNINA store soon for a test drive. There is more to the machine than great features including this adorable faceplate showcasing colorful kids drawings. The cheerful B 330 SE First Love supports the Quilts for Kids mission to help children from around the world who suffer from life-threatening illnesses, abuse, poverty and natural disasters. Founded in 2000, Quilts for Kids, Inc. is a non-profit organization that transforms discontinued and unwanted fabrics into quilts to comfort children in need. These are children with life-threatening illnesses, abuse and so much more. As of 2018 the organization distributed quilts and other much needed items to hundreds of thousands of children in need, globally. The goal is to donate 30,000 quilts or more each year. Find out more about the Quilts for Kids mission here. BERNINA will also donate $20,000 from a portion of the B 330 SE First Love sales to the Quilts for Kids. Additionally, our BERNINA Dealers will host Quilts for Kids in-store events where the community will be invited into stores to make quilts for children in need. Check with your local store for event details. I would love to win this Bernina 330 machine. It would be fun to make pillow cases for children. 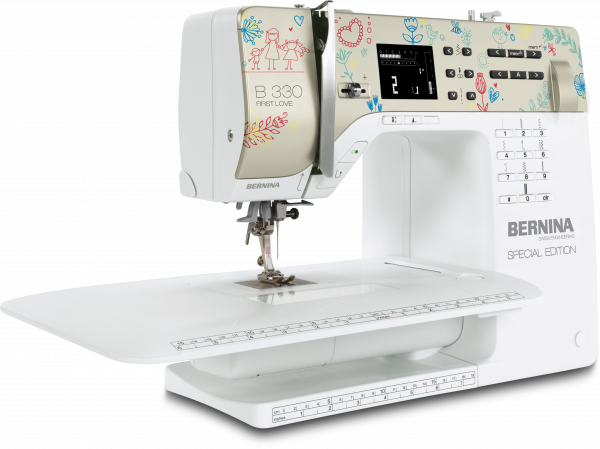 I’d love to win this Bernina 330 and teach my granddaughters to sew. This would be my dream come true to win this machine. I would sew Quilts of Valor quilts this machine. I belong to a group that meets every Thursday to sew for Quilts of Valor. Love this machine! Perfect for classes and community sewing group activities! Creating Christmas projects for children and teaching children to sew…what could be better! I would use the 330 to sew pillowcases for the pillowcases for children with cancer. I am having trouble putting my photo on this entry. Thank you. Would be proud to own this machine for several reasons. First my volunteer work at a local food bank. I make lots of shopping bags and would love to start a stop and go mending program. I would love to own this machine and put it to good use. I would love to win this machine and teach my great niece to sew. I would love to win this machine. I need a smaller machine that I can take to classes. I own a 770QE. I love to win this so I can use this to go to class. I love sewing and making quilts. I make quilts for all the new babies in the family. I also have 6 granchildren and have been showing the oldest three how to sew. Even the boys. They have already completed a project. I also make them stuffed animals that they all love and sleep with them. I would really love having a quality machine to sew on. This is a wonderful machine. Our guild makes pillow cases for a local Boys and Girls club for Christmas gifts and I would love to use this for that. I have a 1530 that I still use everyday. I would use the BerninaFirstLove to sew Teddy’s, Dolls, and storybook quilts for kids in need. I’m retiring from teaching full time and Volunteering/helping/teaching classes for this wonderful project would be an excellent way to partner with the community and promote something that not only touches the soul of those who participate, but provides healing and love to our little ones who need it more than ever. Thank you Bernina for supporting the cause of bringing comfort to children in need. I love Bernina Special Edition sewing machines. So pretty. Would love to add to my collection. My daughter is having our first grandbaby in June – I will be there most of the summer and would use this to make all sorts of baby things, along with teaching her how to sew, too. Thanks for the opportunity. My quilt group makes pillow cases for children with cancer. This would be a great sewing machine to use for them and the artwork would make smile the whole time I’m sewing. Thanks for the opportunity to win the machine. 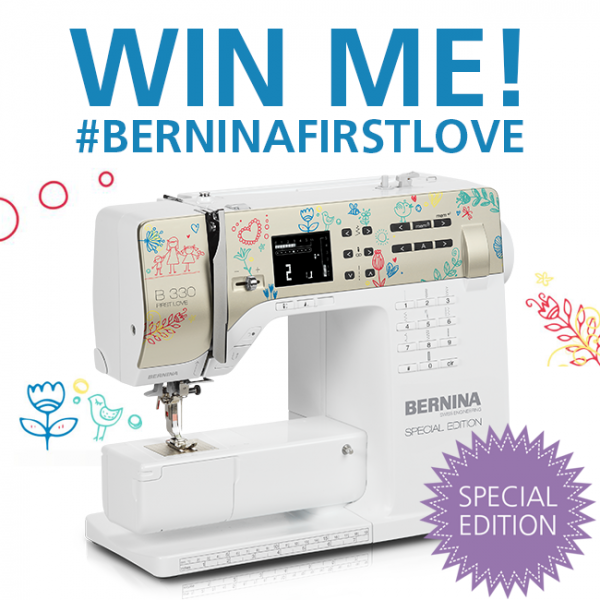 I would love to win this BERNINA and gift it to my younger granddaughter. She would sew awesome creations! I would love this machine to teach my granddaughter to quilt. I would like this advanced machine to make scarves and hats for my Operation Christmas Child Boxes! Woo hoo! I would love to win this machine, I have made quilts for children with cancer to take with them to the hospital. Oh I would love to surprise my grand daughter with this machine and teach her how to make charity blankets. #BERNINAFirstLove I’d use this machine to make quilts for Project Linus. I can’t figure out how to repost something on instagram, but I am following you…! 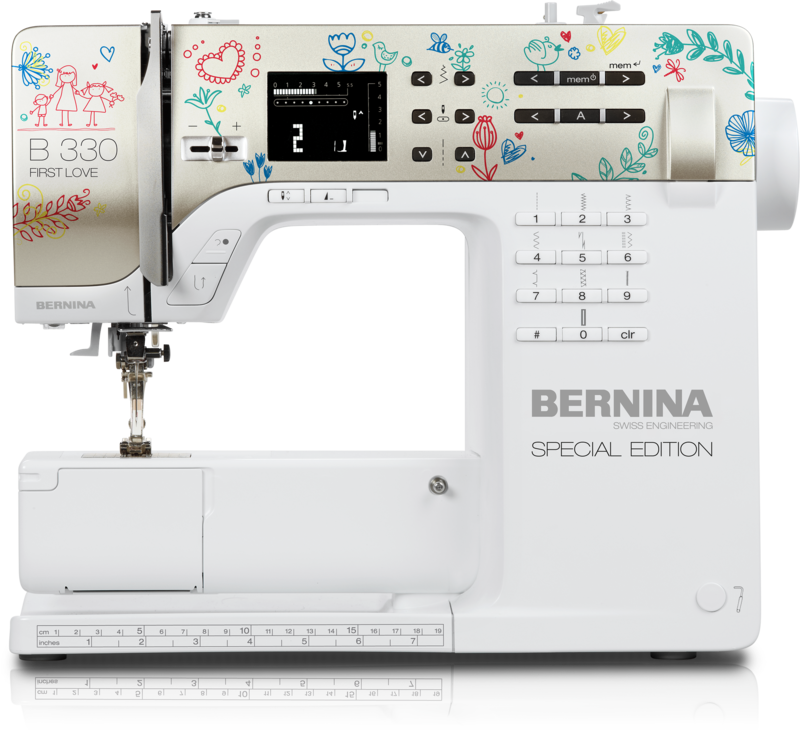 I would love to win the Bernina First Love 330SE. I would use it to make quilts for the Flying Horse Camp in Ohio. This camp is for children with serious illnesses; each bed is dressed with a quilt which goes home with yhe camper. Would love to win this machine. Have owned and used Berninas for 40 years. Teaching my granddaughter to sew on my old 830. 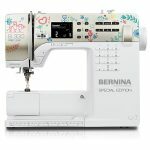 I would love to win this machine for her and get her started on her first Bernina. this Bernina to her and teach her to use it. I sure love to win this, I have granddaughter who like to learn to sew. Her mother would never learn. I would love to win this machine to gift to my granddaughter who wants to learn how to sew. I have two Bernina’s and she wants to sew with me! I have enjoyed sewing and quilting with my Bernina friends. We generally meet twice/month during the early fall and spring months. It is amazing to me that we may be using the same pattern to quilt; however, each of us will produce such a beautiful and different quilt. This would be a great little machine to take to quilting and sewing classes. Most of my larger machines are too heavy to tote around.